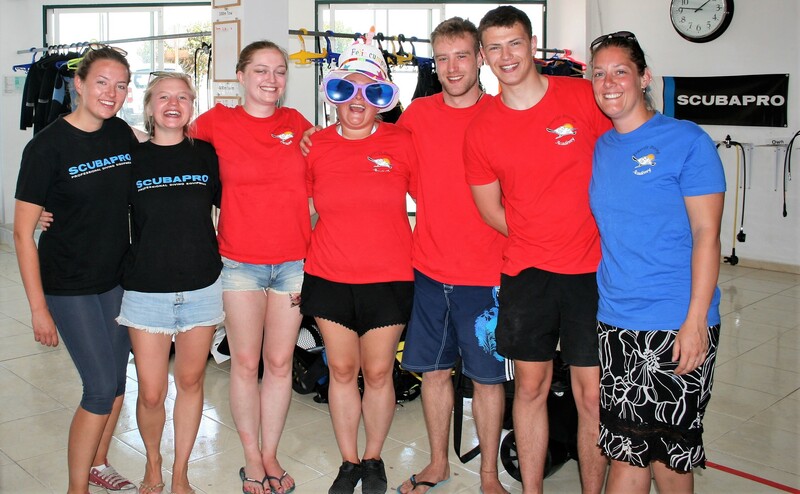 Seventh week at the Tenerife Diving Academy. Sunday Hazel and I were to do search and recovery dive however when we got into the water we were then told it was going to be kit exchange underwater. Apparently you are not told that it will be kit exchange with lots of time to plan as it’s a problem solving exercise, first time we tried to descend with one regulator I was not able to get a good enough breath so we came back onto the surface and tried again but this time it was hazel who couldn’t get a breath so the instructor Tania advised she would do it one on one with us. In the end I got top marks. Monday I went on 2 fun dives with Hazel and Simon in the morning and that afternoon we went on a skills practice dive and helped each other recognize our mistakes. Tuesday I done another skills practice dive with the instructor Laura and the new girl Kate and Hazel. In the afternoon hazel and I were buddied up to do a search and recovery and the boys Simon and Dom were buddied up the girls found there item in 2 minutes but the boys took 30 minutes we also learned how to take an item to the surface using a buoy. Wednesday it was my birthday so we all went on a fun dive to Tabaiba where there is a shipwreck that was really awesome to see and then the boss took us for Non alcoholic beverage when we got back to the shop we had to do the 100m tow and I had to do kit exchange with Kate and she needed to be marked for hers. Thursday was a skills dive practice again as my assessment is next week so all the practice is needed. In the afternoon I had my dive master written exam which I passed meaning I have 1 week left till I become a dive master.